On August 6, Family Vineyard will reissue the lone LP from Richmond, IN’s Hoi’ Polloi. It’s the debut release from Family Vineyard’s reissue imprint, Folk Evaluation. 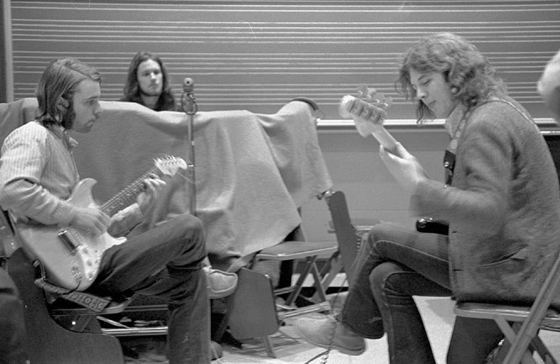 The album was recorded by some Earlham College students over spring break in 1972. This month, Family Vineyard shared the first single from the LP. Listen to “Satisfaction Guaranteed” and watch a trailer on the release below. If this appetizer is any indication, the limited edition wax (edition of 500) is worthy of a pre-order. The reissue is chocked full of bonus materials: Original xerox insert. Extensive liner notes featuring Patrick ‘The Lama’ Lundborg’s 2003 conversation with the band (expanded with newly conducted interviews), a digital download of the album featuring the original stereo mix of “Satisfaction Guaranteed” and a wealth of bonus material from the band members’ vaults, including rare cuts from Earlham’s annual student-produced “Crucible” LPs and a collection of never-before-heard live recordings. On March 25, UK imprint Jazzman Records released the fourth installment of its Spiritual Jazz compilation series. Volume 4 focuses on performances of American artists while playing abroad. It’s a much more accessible batch of tunes than the meditative, modal and religious jazz that comprised Volume 3. The latest release features an eclectic cast of heavy hitters ranging from Sun Ra to Albert Ayler to Sahib Shihab. One highlight from the collection that caught my ear was “Mode for Trane” by pianist Billy Gault. The track was culled from Gault’s lone solo LP in 1975’s When Destiny Calls. The album was originally released on Denmark’s SteepleChase Records, before Inner City Records handled U.S. distribution the following year. 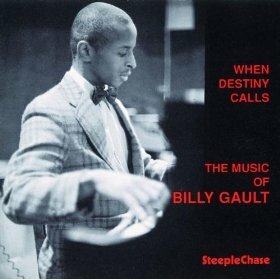 Info on Gault beyond When Destiny Calls is limited, although I found several bits of info online that suggest he changed his name to Kalim Zarif and has enjoyed a long career both teaching and performing jazz. Joe Lee Wilson and Ellen DeLeston handle the vocal work on “Mode for Trane.” Wilson’s career as a baritone, though rarely celebrated outside circles of jazz aficionados, is more widely known than Gault’s. Part African American and part Creek Native American, Wilson was born to farming parents in Bristow, OK before leaving home at 15 to pursue a career in music. 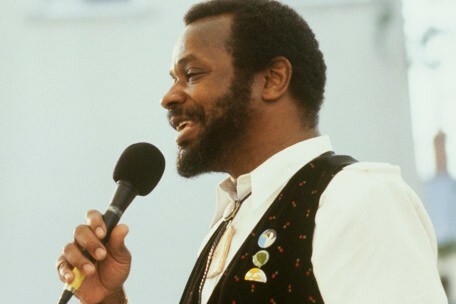 Wilson is perhaps best known for his collaboration with saxophonist Archie Shepp on albums like Things Have Got to Change and A Touch of the Blues. Wilson’s storied career is covered brilliantly in a 2011 obituary from The Guardian. Listen to “Mode for Trane” below and grab your copy of Spiritual Jazz 4 from Jazzman Records. Since Columbus hit the shores of Haiti en route to the Americas, the island has spent the better part of the last five centuries being repeatedly conquered and occupied by a revolving door of European colonizers. Along with an influx of disease, these rulers brought their various cultural influences and a steady stream of slaves to pillage the country’s vast natural resources. These imports served to create a volatile political climate and one helluva cultural melting pot. Last week, UK label Wah Wah 45s reissued Piano, the 1979 self-released LP from Hatian pianist Henri-Pierre Noel. Piano serves less as an exploration of Haiti’s individual cultural parts and more of a synthesis of all that had come before. Piano is the boiled down reduction with splashes of disco, funk and other contemporary African-American musical influences. Noel’s playing style is relentless. He glides over the keyboard at a break-neck speed. If there is a thread that binds Piano’s eight tracks, it is their undeniable danceability. Though I’m unfamiliar with popular live music of late 1970s Haiti, if I had to hazard a guess I would assume that if you weren’t moving the crowd, you weren’t getting gigs. We can safely assume that Noel had listeners’ hips swaying. Noel has since moved to Canada where he continues to perform. Until last week, Piano has been left to reside in obscurity on the shelves of the few lucky souls to have nabbed the LP at an early 80s performance or Hatian record store. Fortunately for us all, the album has found new life thanks to Wah Wah 45s and the remastering work of Kevin Moonstarr. In honor of the album’s reissue, we asked Noel to sit down and answer a few questions. I just want to start by congratulating you on the reissue of Piano. It must be a tremendous feeling to have this work find new life with a new generation. How did the process of releasing the reissue begin? To make a long history short, it all start with DJ Kobal. When he discovered Piano, he liked it. He met, by chance, a member of my family living in Brussels who gave him my phone number. So DJ Kobal made the contact between me and Dom Servini [of Wah-Wah 45s]. That’s the way everything started. How much involvement did you have in the re-mastering process with Kevin Moonstarr? I was deeply involved. Kevin asked for my feedback at every step of the mix. In fact, I did not have much to say, because he was obviously going to the right direction. The guy is competent and has a nice personality. Obviously there is the addition of the vocal track on “Merci Bon Dieu”, but what else has changed since the original pressing? Not much. We tried not to change too drastically from the original arrangement. Besides adding some maracas in “Cogaxa” and the voice of “Merci Bon Dieu”, the instrumentation remained the same. Of course, it’s a different mix, Kevin did a amazing job. Piano was originally self-released, correct? How common were independent pressings in Haiti in the 1970s? I don’t think independent pressings were common at that time in Haiti. It was rather rare. The product would have been impossible to distribute. There was no other way to sale a record than the music stores, even locally. Nowadays, one can make self-distribution, by selling this record through different events. Do you remember your goals for Piano at the time of the original recording? What did you set out to achieve, in terms of a sound, with this release? My goal was to immortalize some traditional folkloric songs of Haiti. To me, they deserved to be known. I’m very happy that those songs have a new life. I would like the future generations to recognize them. If that happens, my mission will be accomplished. What makes Piano distinctively Haitian? Or do you think this album could have been created anywhere? I don’t think so. Most of the songs are traditional folkloric of Haiti. The conga by his sound, is heavily Haitian. The piano now: I don’t think a pianist who has not been exposed to the Haitian folklore music and culture could have interpret these songs that way. In the decades since its release, Piano has developed a kind of cult following or folklore status. Could you try to explain why this album remains important and relevant to so many musicians? How has your style evolved in the decades since Piano was originally released? As a musician, I’m more versatile! More versatile in my interpretations and in my compositions. As a pianist, I give more independence and more room to my left hand, that gives a better rhythmic support to the whole song. I would imagine that your playing style requires a tremendous amount of energy. It’s kind of propulsive and relentless. I know you continue to perform. How do you stay in shape? Big question! I think the love of music does it all. The music take me to a world where the word “fatigue” does not exist. How often have you returned to Haiti since moving to Montreal? Have you been back since the earthquake in 2010? Please describe your current relationship with your native country. Not very often. I used to go often, but not anymore. Even though I don’t go there as often as I would like, Haiti remains for me the ”alma mater”. I would like to thank the people who have made this reissue of Piano a beautiful experience. I had a feeling to be surrounded by a wonderful team of friends willing to make of that experience, a great event. Those persons are named: Dom Servini from WahWah45s, Andy Williams, Kevin Moonstar, and the last but not least Jerome Decis (DJ Kobal).